A new year stands for a new start, new goals and an all fresh motivation! To face all your resolutions in a clean and slick look, we have brought back some of the shiniest War Rock packages to the Webshop. Leave all the negativity and burdens from last year behind and start off your 2019 in a freshly polished chrome look and choose from a new selection of single guns to get your new year’s resolutions started! Reflect the sun's glare into your enemies’ eyes with these popular chrome guns! Have you done your New Year’s polar bear swim yet? This package provides the perfect outfits for it! 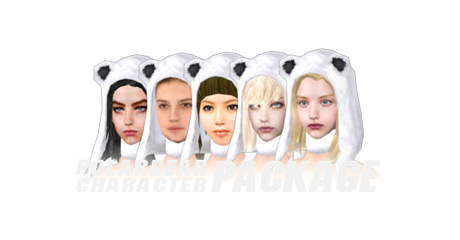 PolarBear Character PKG – New Year’s offer: 17% OFF! Choose from a new selection of single guns for either 1, 7, 15 or 30 days and save when choosing a longer duration!